Dr Colin Walker was born in 1954 in Melbourne Australia. He graduated as a veterinarian from the University of Melbourne in 1979. 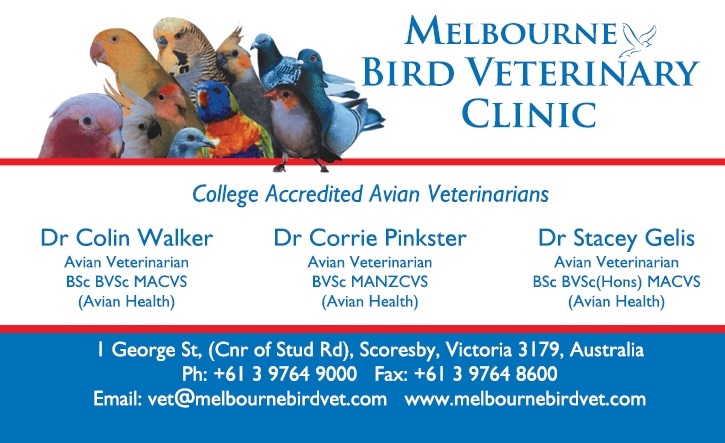 Through post graduate examination he became a college accre dited avian veterinarian in 2003. He also has a Bachelor of Science majoring in Zoology from the University of Melbourne. Colin worked as a general practitioner veterinarian until 1994 but since that time has focused his veterinary work on birds. 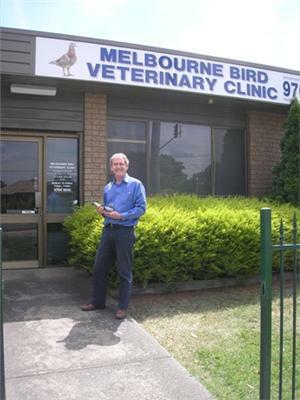 Colin established the Knox Bird Veterinary Clinic, later the Melbourne Bird Veterinary Clinic in 2000. Colin has kept pigeons since he was 10 years old and started racing in 1969 when he was 15. He races most years except when work or travel commitments preclude this. Colin competes in his local club, the Knox Racing Pigeon Club and is the club''s president. The Knox Racing Pigeon Club is affiliated with the Victorian Homing Association which has about 300 members. Colin has twice been federation champion (i.e. best flyer for the year) and has twice been runner up. In 2010 he was placed 12th overall. Colin also keeps and exhibits several breeds of fancy pigeons - Nuremburg Lark, Damascene, Australian Suabian, Syrian Tarbesh, and British Show Racers and over the last 10 years has had over 15 National Champions. Colin also maintains 38 aviaries and breeds the less common species of Australian parrots and also Australian Fruit Doves. He believes that maintaining healthy captive populations of these declining birds is a vital part of their conservation. 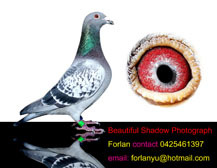 Colin established the Australian Pigeon Company in 1994 which produces a range of pigeon health supplements and medications that are widely used throughout Australia. The active competition of pigeon racing has lost none of it''s excitement for Colin and he remains an ''avian-tragic'' being facinated by all things avian. He feels privileged to work with many of the birds that he sees at his clinic and finds being an avian veterinarian enjoyable and rewarding.